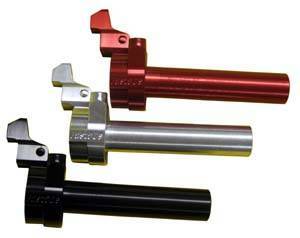 Clamp color - silver, black or red? What carb do you have??? 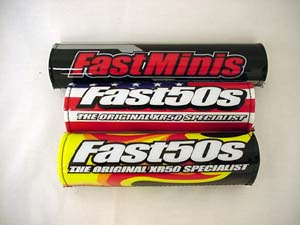 Specs: Our 50 cable is 2" longer than OEM 50 or is stock 70 length. Our 70 cable is 4" longer than OEM 50 or 2" longer than OEM 70. If you have an 18-26mm Carb on your big bore, choose the proper cable in option set below! 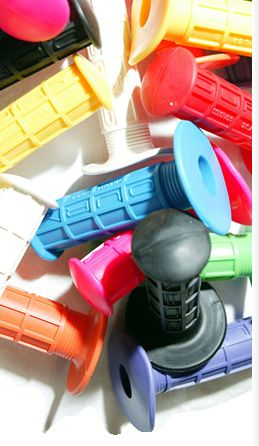 All parts are made with pride and finest machine quality!! -Black 8 inch rise bar that is stronger and taller than stock bars. Gives you a more comfortable feel, better handling, and more leg room. 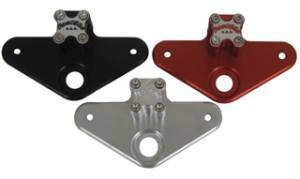 -Billet Fast Throttle (Choose from silver, red or black) Billet throttle assembly comes with or without attached brake perch. 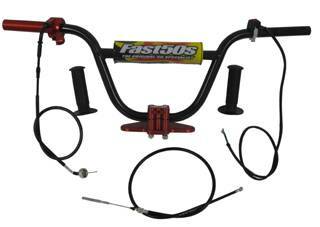 (Same great OEM Honda feel) The throttle with perch accepts your OEM stock lever and pivot screw. -Same throttle throw of stock unit. Each part is also sold separately.